Spring is coming…and that means you can save some money on your groceries! And NOW is the time to start planning your garden. 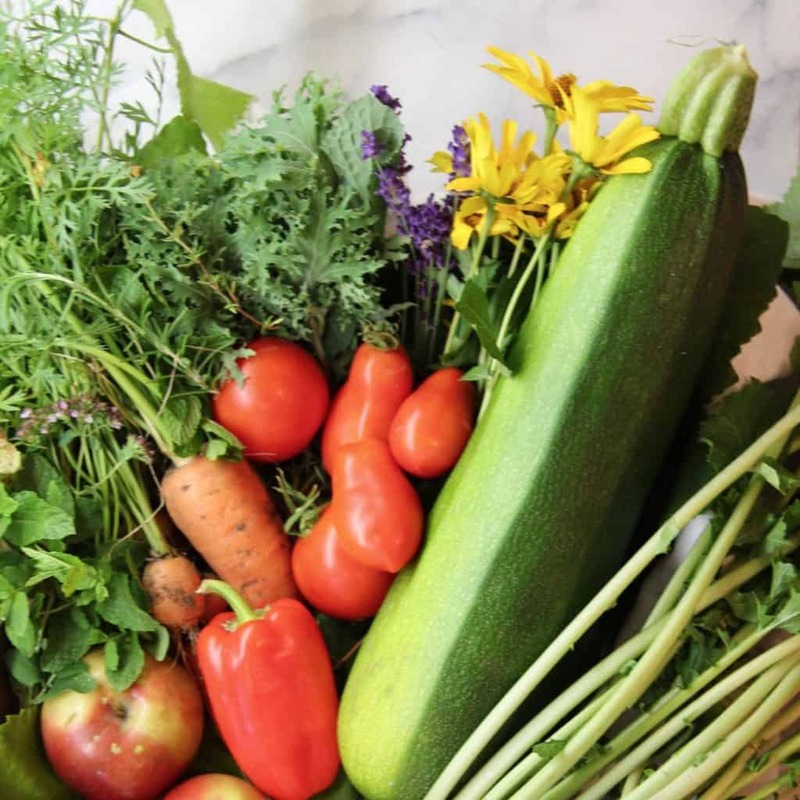 To help you with your planning, I’ve invited Mary Jane from Home for the Harvest to tell you about 5 easy vegetable crops you can grow to save you some bling bling on your grocery bill! Take it away Mary Jane! Saving money on food is one of the most popular and oldest reasons to start a garden. Because we eat vegetables every day, it can be hard to watch the price of fresh produce rise at the grocery store. Fortunately there are a few easy vegetable crops that will save you cash on your grocery bill. The key is to plan out your garden to maximize the harvest of simple, high-value veggies. The first question when planning a cost-effective garden is to discover which vegetables really save you money to grow yourself. Some veggies take up lots of space, or lots of time, making them a poor investment. You’re better off growing vegetables which are expensive to buy or hard to find. This is especially true if they’re easy to grow or don’t take up too much space. Equally important is to choose vegetables you actually eat, or want to eat. There’s no sense growing a bunch of heirloom cherry tomatoes if you don’t like tomatoes at all (unless you have a nice gardening friend to trade with of course). Once you start growing a few of your own crops, you’ll notice how much better homegrown produce tastes. 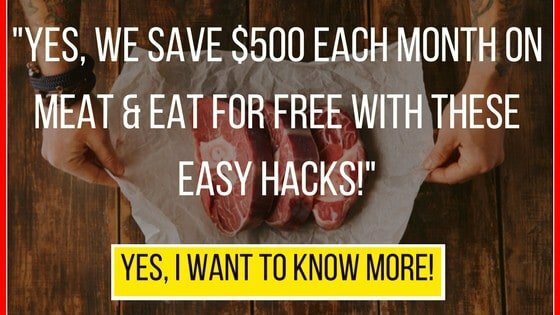 Not only are you saving money, but you’re also enjoying tastier, fresher, more nutritious food on a daily basis. The costs associated with setting up a garden can be minimal if you have available yard space and a roof from which to collect rain water. In addition to set up costs, you’ll also be investing some time in the garden. Fortunately, time spent in the garden is fairly relaxing in comparison to other household activities. An added bonus of creating a garden is that you’ll have less lawn to mow! Just like lawns however, gardens do need some irrigation. Garden vegetables will grow well with rainwater, which does not have the added chlorine of municipal tap water. Rainwater can be easily collected in an IBC tote or rain barrel for use throughout the growing season. If you’re starting to plan your garden, and want to save some money at the grocery store, try out the vegetables on this list! 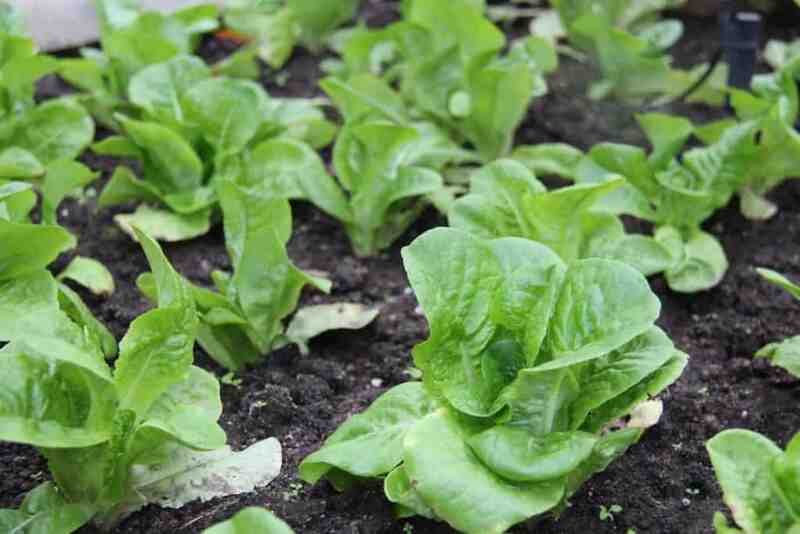 Salad greens are easy to grow yourself. This includes different varieties of lettuce, as well as greens such as arugula. Many seed companies sell packets of mixed seeds which have been specially chosen to grow well together. Most types can also be harvested multiple times, termed “cut-and-come-again” varieties. Salad green seeds can be planted every 2 weeks to ensure a continuous harvest throughout the growing season. Keep the soil moist after planting the seeds to ensure germination. Once the plants become established, use sharp scissors to harvest a daily portion of greens. Large packets of organic mixed salad green seeds will cost you about $5 each. In our area, this is the same price as one bag of mixed greens at the grocery store. Two packet of seeds, however, will last you throughout the whole growing season. If your household goes through 2 bags of salad greens a week, as ours does, growing your own greens adds up to a savings of $230 over a 6-month growing season. 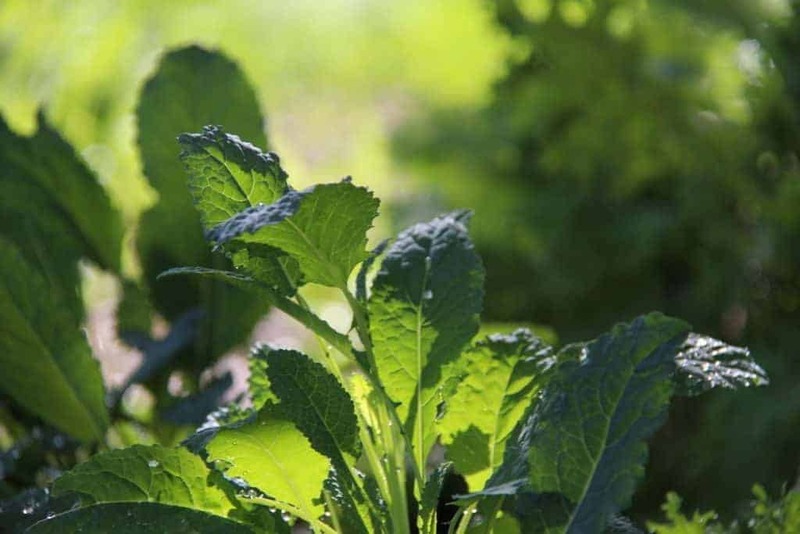 Smoothie greens such as kale and chard are also very simple to grow at home. They’re also more cold-hardy than salad greens, extending harvest into the shoulder seasons. Hardy smoothie greens can even be grown in freezing temperatures with the use of a cold frame or other season-extending equipment. In our house, we have smoothies almost every day as part of breakfast or as a snack. Green smoothies can look a bit scary if you haven’t had one before, but they are actually quite refreshing and yummy once you get the hang of it. Most of the kale and chard that we buy ends up in our smoothies, simply because it’s such a quick, reliable way to get a serving of green vegetables each day. If you like a few months off from gardening in the winter, as I do, it’s possible to grow enough smoothie greens in the regular growing season to last you throughout the colder months. I wash and freeze our extra kale in freezer bags for use during the off-season. An added bonus to freezing smoothie greens is that the cold temperature reduces some of the bitterness, leading to naturally sweeter smoothies. Packets of organic kale and chard seeds cost about $5 each (From Maat: You can get them even less at Seeds Now). I like to grow two kinds of kale (Scotch and Italian), and also a rainbow mix of chard, totaling about $15 in seeds for the season. Bunches of organic kale and chard go for $2 each in our area. For a daily smoothie for two people, you’d need to buy about 3 bunches of greens each week. Over the course of a year, growing your own smoothie greens adds up to a savings of just under $300 per year! You can find instructions for growing your own organic kale here. Cherry tomatoes are an often overlooked culinary vegetable. They’re usually seen on veggie trays accompanied by ranch dip, but there are so many other delicious opportunities to use them. Cherry tomatoes are far more fun to grow than larger tomatoes, having a longer harvest season. Cherry tomatoes are also easier to prepare, as they don’t have to be seeded and require just one slice to cut them into bite-sized pieces. There are wonderful, delicious heirloom varieties of cherry tomatoes, many suited to both fresh and cooked applications. I’ve planted seeds from heirloom cherry tomatoes from the Farmer’s Market, resulting in varieties that would have been hard to find in seed packets. I’ve also found that cherry tomatoes freeze very well. After washing them and cutting them in half, I freeze them in small bags. These frozen tomatoes are perfect to pull out of the freezer for homemade pasta sauces and curries throughout the winter. If you harvest and grow seeds from inside cherry tomatoes you’ve purchased to use in cooking, the seeds are pretty much free! If you buy seeds however, packets will run you about $5 each. I usually grow two varieties at a time, meaning I buy two seed packets. If a good mixed cherry tomato seed packet was available from a local company, I’d buy that, because you don’t actually need too many seeds/plants to get a good harvest. 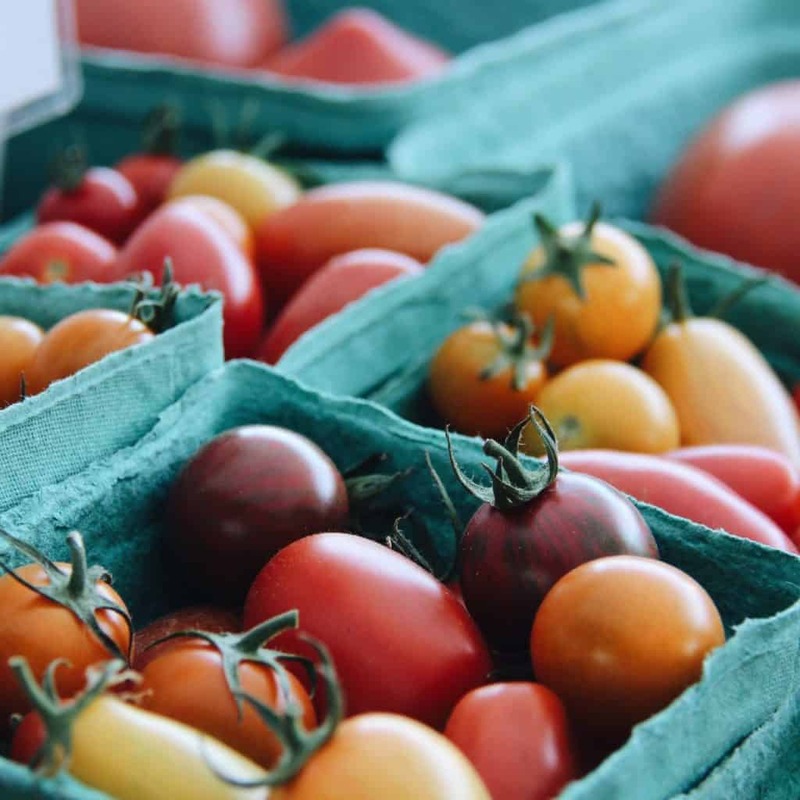 In our area, a clamshell pack of tomatoes at the grocery store is usually $6, year-round. In the summertime though, I can get organic cherry tomatoes at the Farmers Market for $4 a basket, so I’ll use that number for comparison. 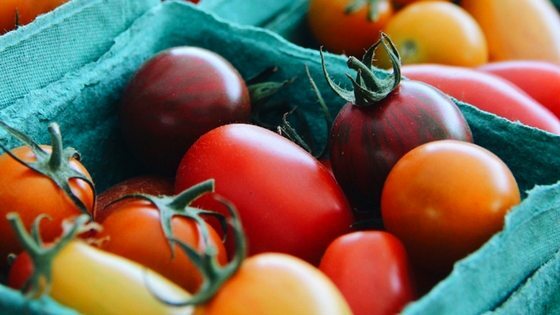 Assuming one basket a week in the summer for salads, and bruschetta, and one basket’s worth each week in the winter for soups, curries, and pastas, growing your own tomatoes can provide a cost savings of about $200 a year. Zucchini has gained quite a bit of popularity in the last few years, perhaps corresponding to the rise of the spiralizer. The popularity increase has been accompanied with increased prices. Fortunately, zucchini are also one of the easiest vegetables to grow, with each plant producing an impressive harvest. Zucchini not only make delicious noodles (zoodles are practically a food group in some households) but they’re also just as tasty by themselves. Grilled zucchini on the BBQ are a perfect addition to a summer meal. Grated zucchini can be added to cakes and breads in a sneaky effort to disguise a vegetable inside a dessert. Even simple fresh zucchini sticks dipped in hummus remain a favourite healthy snack. A pack of zucchini seeds costs less than $5 each. Small zucchinis cost just under $3 each in our area. One of these squashes is enough to provide a vegetable side or spiralized noodles for two people. Assuming summertime meals of a once-a-week zucchini side or snack, plus once-a-week zoodles, growing your own zucchini will save you just under $100 over a 4-month harvest season. Herbs are one of those ingredients that are simply so much better when fresh. Some dishes really do need sprigs of fresh thyme, many would agree that potatoes are yummier when topped with fresh chives, and it’s pretty hard to make a good mojito without fresh mint. Not all culinary herbs are easy to grow, but many are. 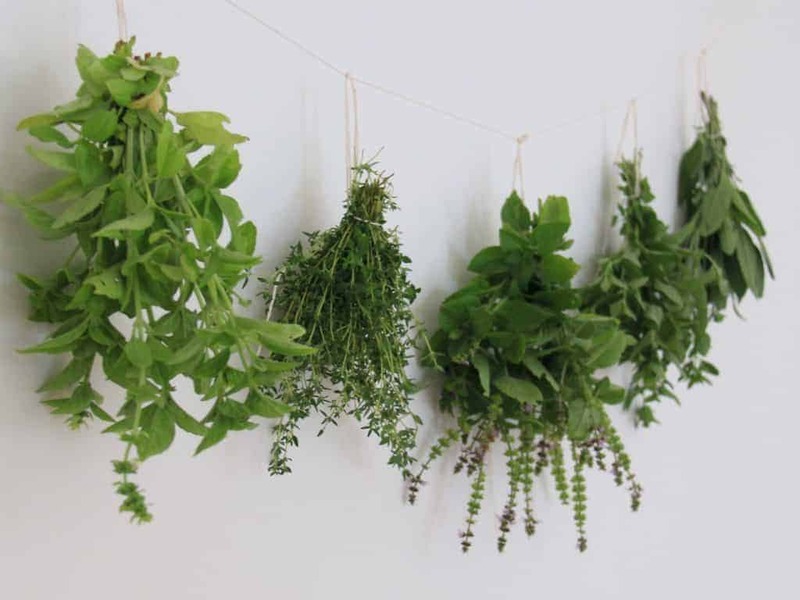 The easiest herbs to grow and harvest are the perennial herbs, which come back to life every spring without having to be replanted. Some of these herbs, like oregano and mint, are so vigorous they can take over your garden! Others like chives and thyme are more easily contained, and just as reliable. At first, herbs can be slightly more expensive to grow than the other items on this list, as many people like to buy whole seedling container plants rather than starting their own plants from seed. Purchasing seedling plants is definitely the easiest way to start your herb garden. Fortunately more and more grocery stores are now selling small herb pots in the produce section, making these plants an easy purchase. A packet of herbs at the grocery store is $3 in our area. I use herbs every day in my cooking, but if I had to buy them in $3 packets, it’s fair to say there wouldn’t be quite as many herbs in my meals. I’d probably max out at purchasing one or two packets each week. Perennial herbs cost about $5 each for a small plant. If you purchase four different plants, that’ll run you a total of $20 for your perennial herb garden. If you’re regularly buying one or two packets of herbs a week, the initial investment of the plants will be paid off in just a month or two. Once the plants become established, you’ll be able to harvest them for years, adding up to hundreds of dollars of savings. You’ll also find you use far more herbs in your day-to-day cooking! Are you ready to start your own grocery-bill busting vegetable garden? Try out the crops on this list to get started. Remember to only plant crops that your family already eats or would like to eat. Also note that you’ll have more success starting with just a few crops, rather than trying to grow everything available in the grocery store! It’s true that almost everything is better when homegrown, but starting with a small number of crops is the most reasonable path to success. Some vegetables in the produce section are priced more affordably than you can grow them yourself, while others are much cheaper to grow at home. 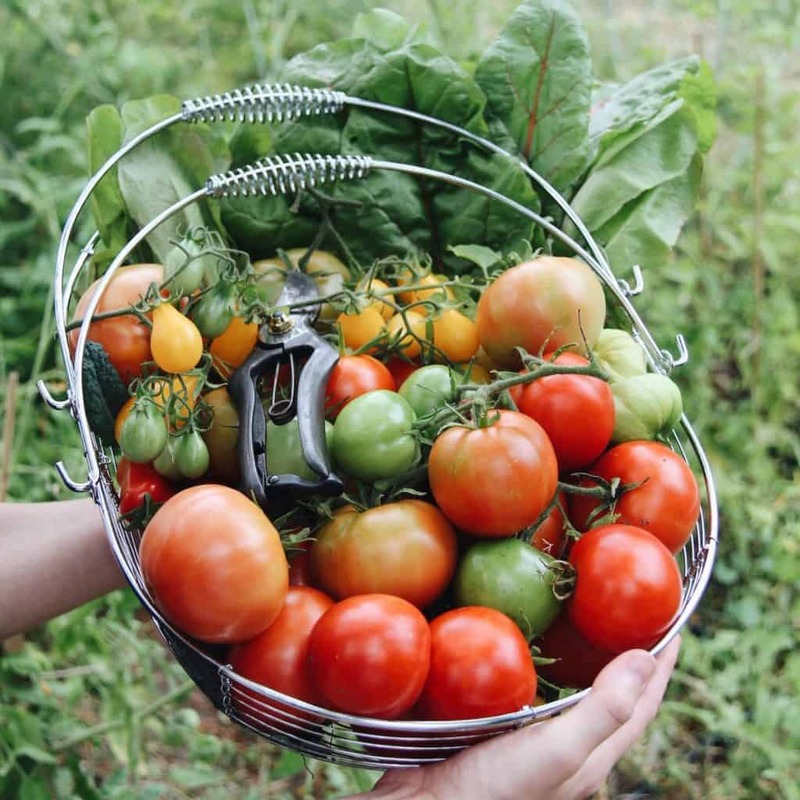 The vegetable crops on this list will get you off to a good start creating a cost-effective kitchen garden for you and your family. If you’re looking for more information on which vegetables to grow versus which to buy at the grocery store, I’ve put together a “buy-or-grow” cheat sheet of over 30 common vegetables, categorized by whether to buy or grow them. You can download the buy-or-grow cheat sheet here. Mary Jane is a writer, engineer, and organic gardener in the Okanagan Valley (Canada). 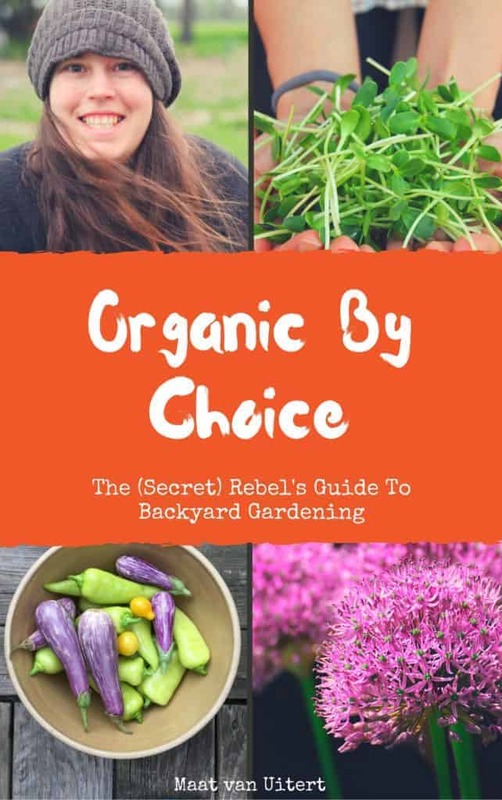 She blogs about organic gardening, nature-inspired DIY’s, nourishing recipes, and connecting with nature. Find more of her work at Home for the Harvest. https://thefrugalchicken.com/category/sustainable-living/ Hi Maat. I have been using your frugal recipe for my chickens for several months now and they seem very healthy. Thankyou. I havent added garlic, oregano or kelp et and wonder about quantity. I have access to kelp as I live near the ocean and wonder if you can give me advice as to quantities. Thankyou. I am going to enjoy more of your articles. Hi Betsy – thanks for your message and I’m glad the recipe is working out for you. With the kelp, if it’s dry, you can add couple tablespoons per 5 hens or so, but if it’s not dry (ie fresh from the ocean), you can just hang it in the coop and let them peck at it as they want it. Hope this helps!